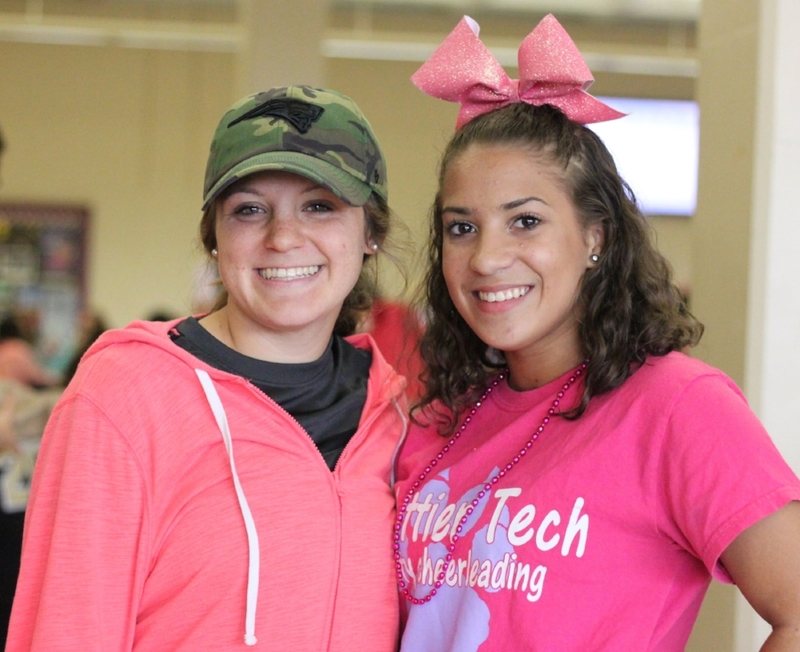 It was a sea of pink and purple today as students and staff arrived wearing the colors to celebrate Breast Cancer Awareness Day -- our first day of Spirit Week. Points are being tallied now to see which class came out on top for the day. Tomorrow is Favorite Sports Day, so wear clothing to show off your favorite team. Our MCAS scores are in, and we are a Level 1 school!